H idden away in North Hollywood is a little treasure called The Iliad. 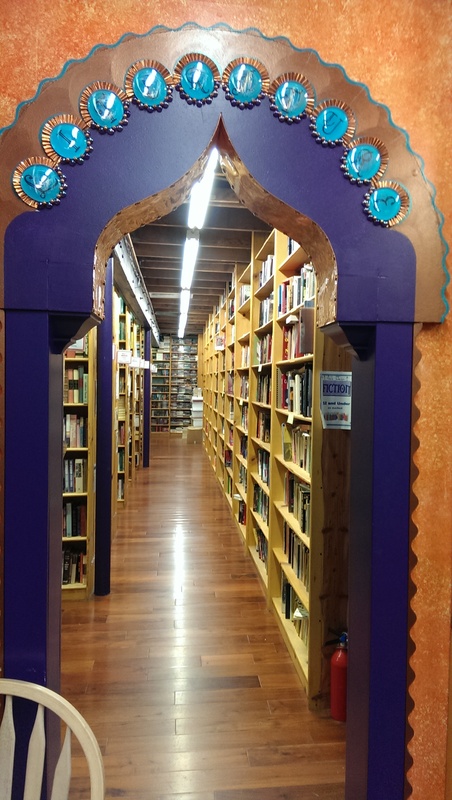 If it weren’t for the giant faux book spines decorating its exterior, you might miss this little secondhand bookstore. In the few precious years I’ve been visiting, the shelves have multiplied and the collection of books to choose from has become even more eclectic. While The Last Bookstore in downtown Los Angeles is grand and imaginative, I think The Iliad is still my personal favorite. The atmosphere is comfortable and welcoming, easily allowing you to spend more time than you intended scouring for treasures. I particularly love the new (to me) addition of sitting couches near the children’s books. The Basic Works of Aristotle, Edited by Richard McKeon: A synopsis is unnecessary but I think it’s cool to share that the book was printed in 1941. Greek philosopher. Thoughts: This is a book for research purposes. I cannot say much more. You’ll just have to wait for Book Two! Thoughts: Again, another research book. The purpose is to expand perspectives and encourage new ideas in the meaning and science of astrology for my writing. Thoughts: Another installment of above perspective. I know little about the Rosicrucians, but browsing through the material, I found their point of view absolutely fascinating and I can’t wait to learn more about their opinions of astrology’s influence. Again another subject that the ancient Celts valued. The History and Origins of Druidism by Lewis Spence: Originally published in 1947, this is a 1995 edition. Thoughts: Again for research expansion. I am always a sucker for original thinkers. Anytime I find a new perspective on history, I eat it up! I have a handful of unfinished blog posts waiting to be shared. I intend to slowly release them as I find time in between the progress of Book Two, so bare with me. In the meantime, keep reading and share your discoveries! This entry was posted in book, book haul, Book Reviews, celtic, Literature, los angeles and tagged aristotle, astrology, author, book, book haul, bookstore, celtic, druid, Iliad, literature, philosophy, reader, reading, vintage, writer. Bookmark the permalink.